Happy Wednesday! Today's weekly Instagram Roundup contains much fewer outfits than normal because I have been living in work t-shirts and shorts during summer camp the past two and half weeks. I've barely put together a "real" outfit because of camp and the heat. It's just been way too hot and humid here in North Carolina! 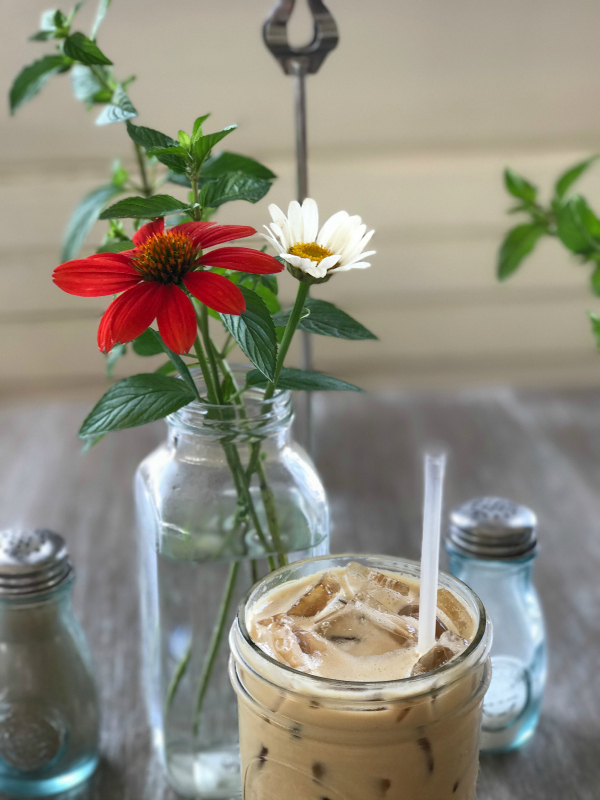 But today, I did include a picture from my Instagram stories because it's my very favorite summer drink: a sweet baby brown from The Table Farmhouse Bakery, one of my very favorite local places. It's a a creamy iced latte shaken with brown sugar and it's seriously delicious! It's so good! I also wanted to share a few of my recent buys. I haven't purchased a ton of stuff lately because I have been so busy with work and family. A Target run is on my agenda this weekend! Thank so much for stopping by today! Enjoy your day! All great looks girl! Happy Wednesday! Love the little round up! The arm party is so fun! Those leopard slingbacks are divine!! Gotta pick those up! 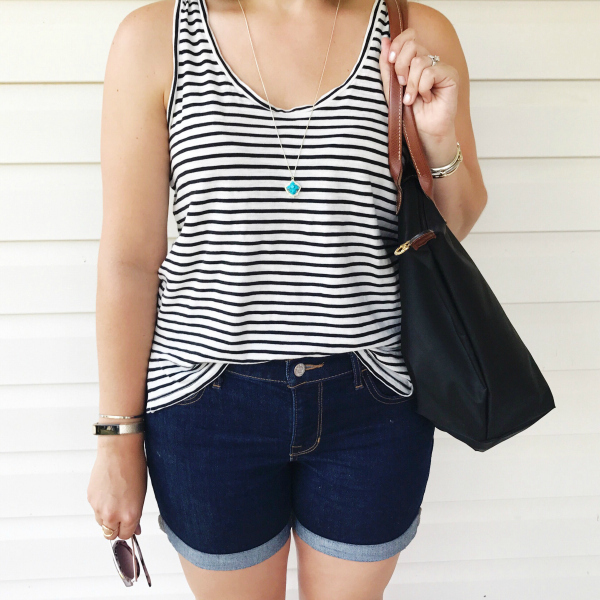 I love how you accessorize your outfits! So pretty! Such great items and love all the looks! I seriously love those sandals and that striped tank! So cute! I adore those pink striped shorts! Soo cute!! 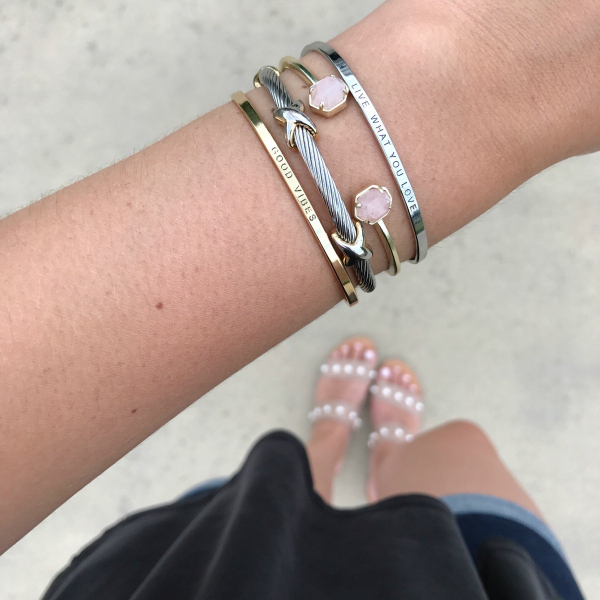 I really love those stackable bracelets! !